Hi my dear friends! Today Design Birdy and I are representing to my mind very adorable and beautiful project – Bear Cubs. Most of you will agree , that this hat is super cute thing for all children, not only for newborns and also perfect new year gift ! 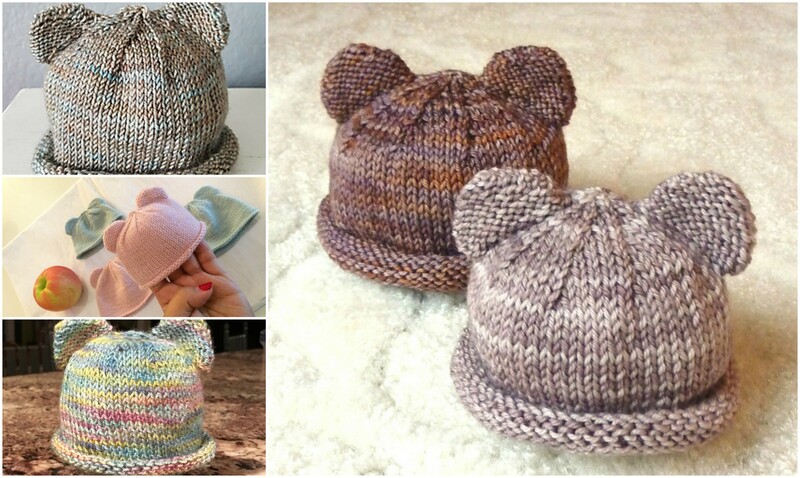 As a bear hat, popular colors are brown or white, but when I saw this nice colors, I realize that pinky one is nice and perfect for little girls. One more hat is always needed when you have children at home. This hat is also very easy to knit and this knitting pattern will make your job easier, we hope this article will be helpful and inspiring and don’t forget to share your results with us on our facebook page. Enjoy with pleasure of good knitting! Good luck to you!